Halogeton glomeratus (halogeton) is an erect winter to summer annual with small fleshy leaves (family Chenopodiaceae). It can be found throughout southern California and in all counties bordering Nevada. It has also been reported from Siskiyou and San Diego counties. Halogeton is mainly found on disturbed arid sites in salt grass, salt desert shrub, mixed desert shrub, or pinyon-juniper plant communities. 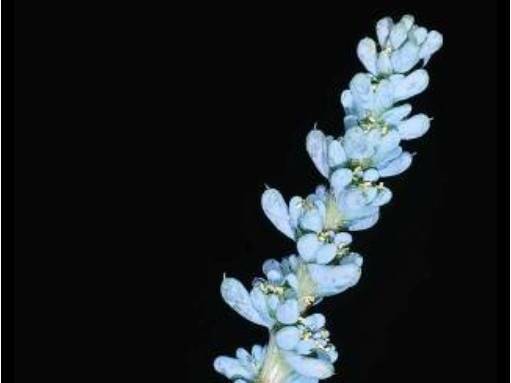 Halogeton is not an extremely competitive plant, but it can quickly invade disturbed or overgrazed sites, and it can prevent reestablishment of desirable species because it can lead to salt accumulation on the soil surface. It is poisonous to livestock.